Antoine Bellanger - What am I flying on ? What am I flying on ? is the reference about airplanes which are flying right now above your head. 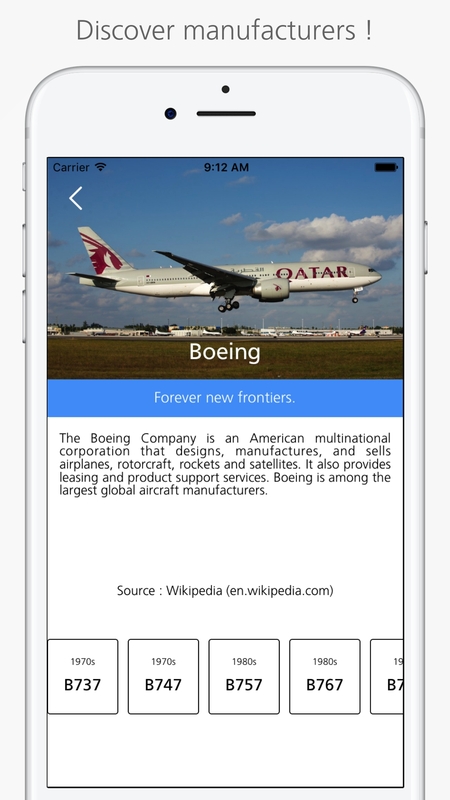 The app let you find your airplane just by typing a name, a code or a manufacturer. 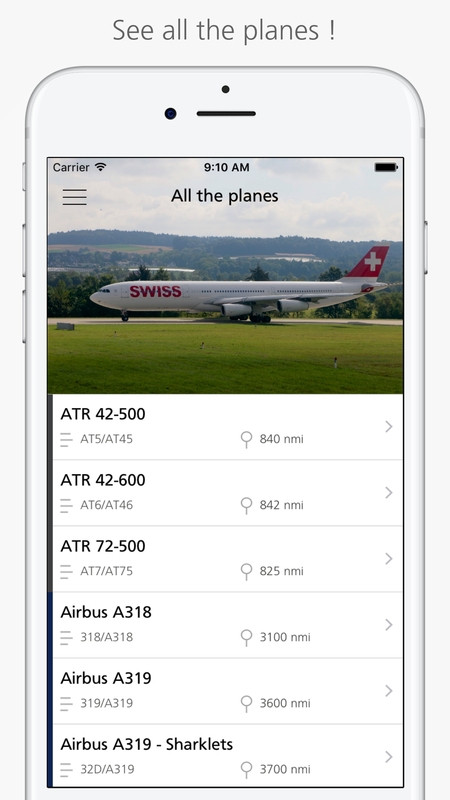 The app is for everyone from the person who wants to know which plane he is will be seating in to the plane lover with really specific data. Created as a WWDC15 project and was then released. Data is the core of the app. 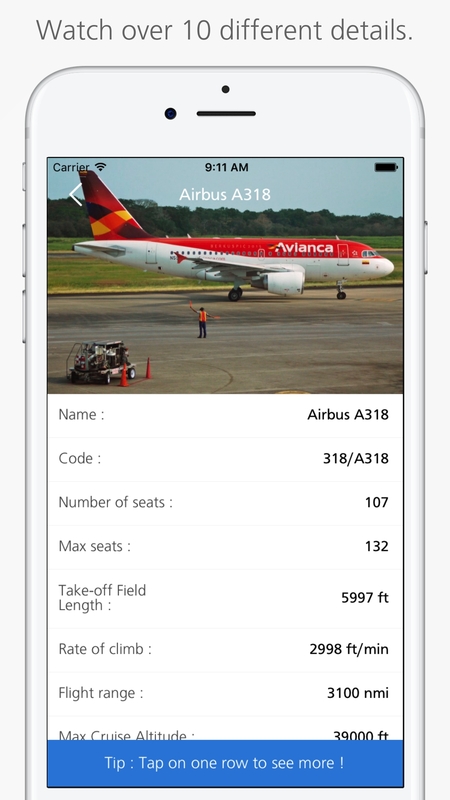 Just find out the codes of your plane (IATA & ICAO), the number (and the max) number of seats, the required take-off/landing field length, the rate of climb, the flight range, the maximum cruise altitude and the wing span ! Beautiful images coming from Flickr are there to represent your plane. Manufacturers, learn more about them and their planes. Check out a short summary, main planes created and their release year. 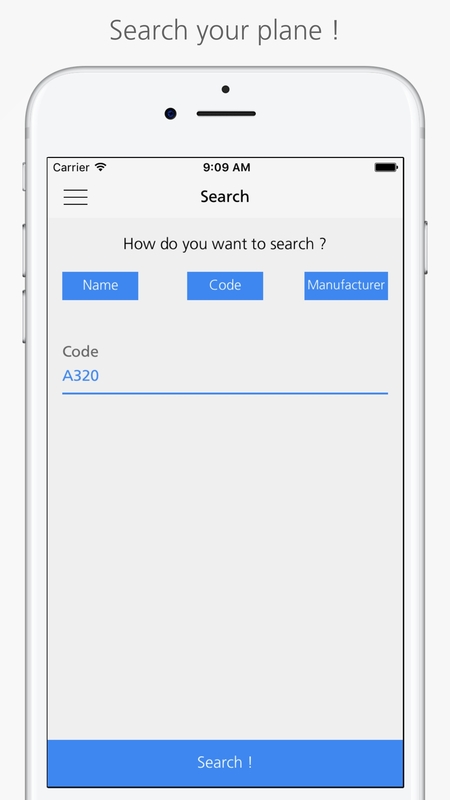 Search your plane by name, code or manufacturer ! There are more than 70 planes and we keep adding some. Layout changes were made to improve user experience. Check out the data offline after the first download ! Added CoreSpotlight, 3D Touch and Peek and Pop. I created some other extensions to What am I flying on ? using Python and for developer use. PlaneCreator is a little script that I made to add up directly data from my console to Firebase which then leads to a better experience for user. Data is checked and all of it is available at the same, reducing the bugs caused by missing fields. An article about me and my app was published shortly after the initial release. It is available on Appcoda or here. Interested by the data I have ? Contact me.